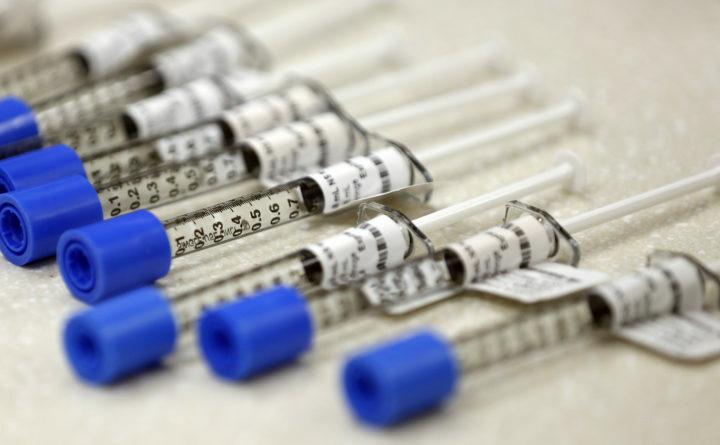 This Friday, June 1, 2018, file photo, shows syringes of the opioid painkiller fentanyl in an inpatient pharmacy. PORTLAND, Maine — Data from the U.S. Centers for Disease Control and Prevention shows Maine is the sixth worst state when it comes to an increase in overdose deaths. The CDC numbers are slightly below the Maine Attorney General’s Office, which reported 418 and 376 overdose-related deaths for those two years.